This housing is made from a 3D printed shell and a lasercut acrylic rear panel, it features hooks and a ledge for attaching a USB battery with cable ties or elastic bands. On this version, the Pi end of the USB power cable is captive inside the housing. The front of the shell has an enlarged button cover above the screen intended for use as the shutter release (although either of the four buttons could be programmed for a variety of uses). 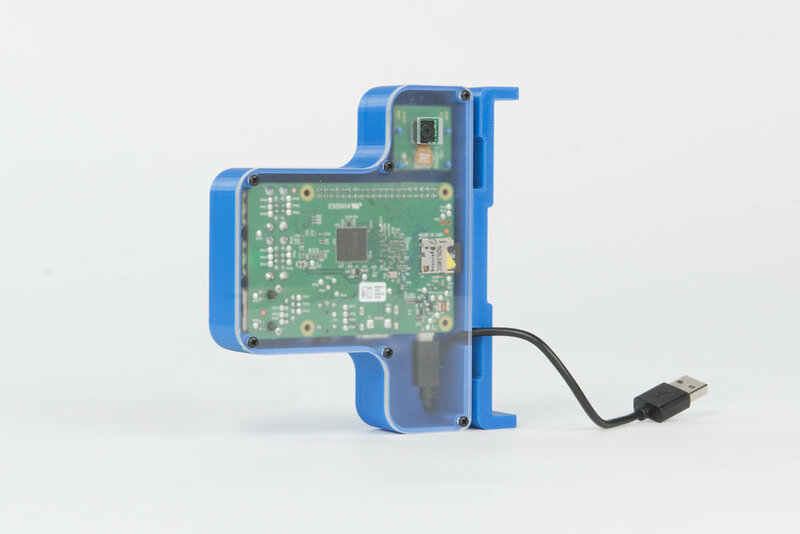 The Raspberry Pi, screen and camera are all housed inside the shell for ease of assembly.